OWH Stars and Stamps (Our OLD blog! ): We R Winner! Random.org picked a winner for last week's We R Keeping an Eye on You challenge, and it's MizDenise! 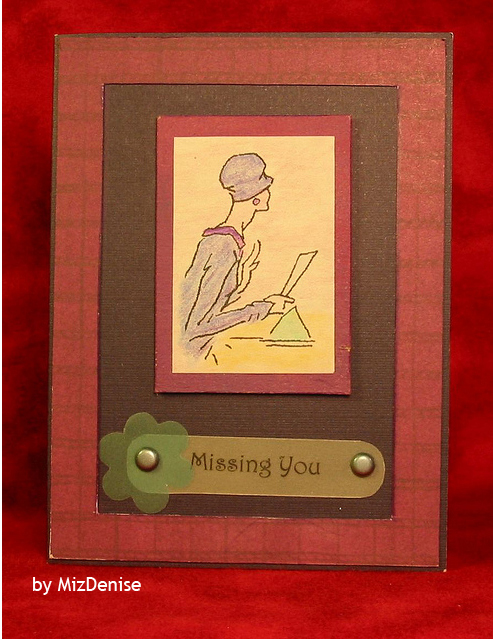 Leave her some love and congrats for this gorgeous card she created! WooHooooo!!! Congrats! And cheers all around! Yahoo! Even my hubbie (who's very supportive) is impressed with this prize! I'm so happy to win! Congratulations! It is a great card! Congrats! What a GREAT card!